Its uniqueness is found in its concept. Rather than being made up of several cut sections, ours is two complete sections attached to either side of your plate, that run under and contour up and out toward the inner bumper bracket mounting bolts. No more drilling holes through your chromed (or re-chromed), front bumper. Adds, character to "Classic" rebuilds or customized "Bugs". Simple and neat to install. 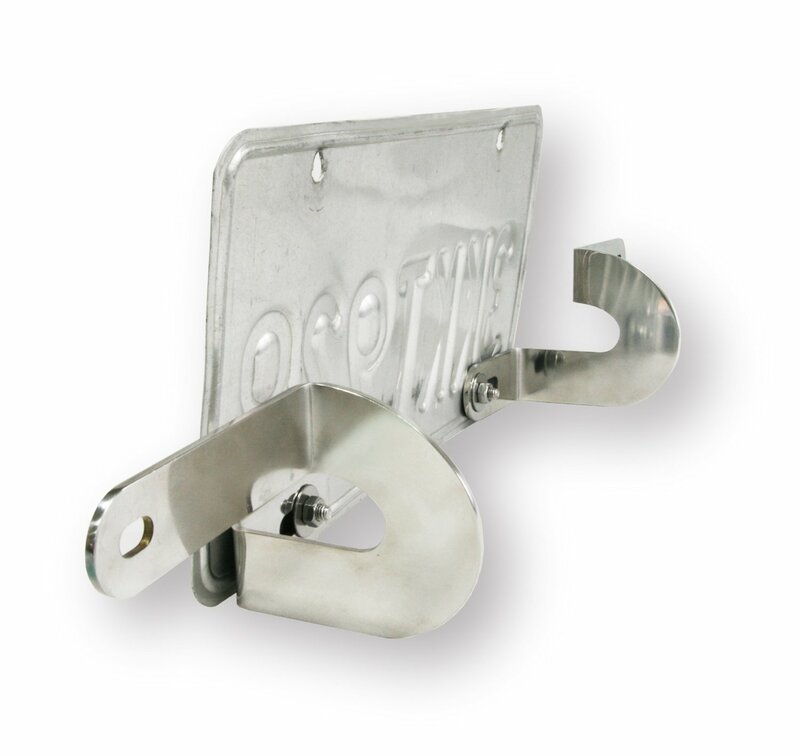 Includes two polished stainless steel brackets(2), license plate screws, washers, and nuts. For Grove bumper split window bug, may need to modify bracket by your self.